Impress your teammates at your next training session with the Professional (Polyester) Short. 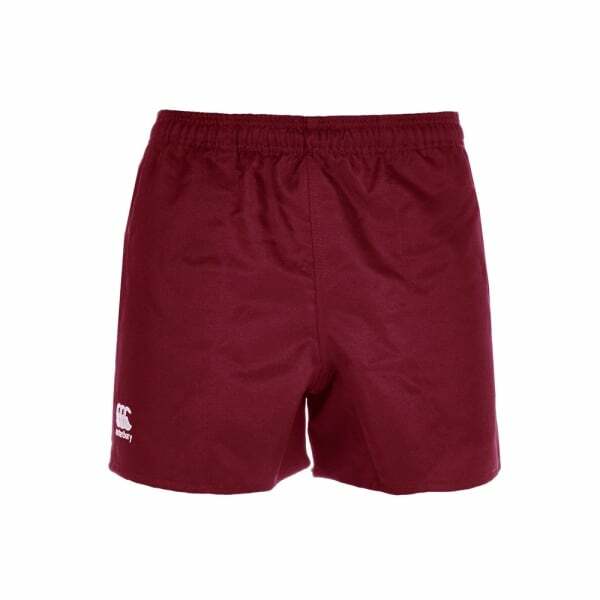 Featuring 100% polyester twill, these shorts are designed for durability and comfort on the field while reflecting the best of Canterbury’s iconic design, with flat felled seams and zig zag reinforced stitching. Allowing for a maximum range of movement and breathability, these shorts let you train intensively while staying dry and relaxed. Featuring side pockets reinforced with double bar tacks for your convenience, the shorts are complete with the distinct and familiar CCC embroidery at the right hem. The stylish professional design of this item will ensure that you stand out on the field, whatever you’re playing.